Mesothelioma, a cancer of the lining of the lung called the “pleura,” is almost always caused by inhaling asbestos fibers. Every year thousands of workers and retired workers are diagnosed with this disease. 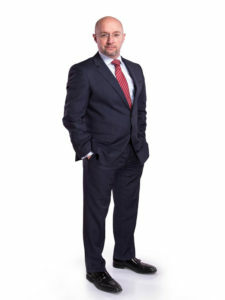 Chicago Mesothelioma Attorney Phil Berenz has been helping victims and their families obtain asbestos disease compensation for almost two decades. If you have been diagnosed, it is important that you speak with a mesothelioma lawyer. Below we briefly discuss the symptoms, diagnosis and treatments available to those diagnosed with this form of cancer, and how we can help you and your family with a mesothelioma claim. 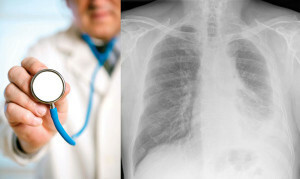 There are generally two types of mesothelioma. The most common is pleural, and the second is peritoneal. Pleural affects the lining of the lung, and peritoneal mesothelioma affects the abdominal lining. The most common symptoms are shortness of breath; pain while breathing; chest, back or shoulder pain; difficulty swallowing; frequent coughing and unexplained fever. Symptoms of peritoneal mesothelioma include abdominal pain and swelling, nausea, loss of appetite and bowel problems. Mesothelioma is usually diagnosed following an x-ray or CT scan which detects fluid around the pleura of the lung or peritoneum of the abdomen. A biopsy may also be used by doctors to obtain tissue which is examined by a pathologist to confirm a diagnosis. Many workers may not recall specifically being exposed to asbestos. However, asbestos was used extensively in insulation and construction materials. Paper mills used asbestos extensively in their plants. Individuals who worked as insulators, boilermakers, pipefitters, mechanics, carpenters, electricians and plumbers, as well as other bystanders, may have been exposed to asbestos. Metropolitan areas see the most incidents of mesothelioma since that is where many of the industrial facilities using asbestos-containing insulation products were located. People with mesothelioma and other asbestos-related diseases deserve compensation. Our experienced legal team knows how to obtain justice for you and your family. The truth is that the companies knowingly exposed workers and their families to deadly asbestos fibers. Asbestos is the only known cause of mesothelioma and one of the main causes of lung cancer. 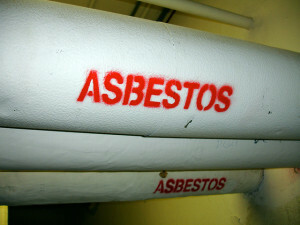 Our law firm stands up for asbestos victims in Illinois. Do Not Wait – The Time For Action Is Now. If you or a loved one have been diagnosed with an asbestos disease in Chicago or anywhere throughout the State of Illinois, a Chicago Mesothelioma Attorney like Phil Berenz can help. Call us at 312-375-6524 today and see what we can do to help YOU!